33% of the population is now obese or overweight (and that’s likely to increase). More than 60% of people with a gym membership have difficultly sticking to their plan. 92% of people fail to maintain their fitness resolutions by the end of the year. How are these statistics true if we have so many workout programs to choose from? 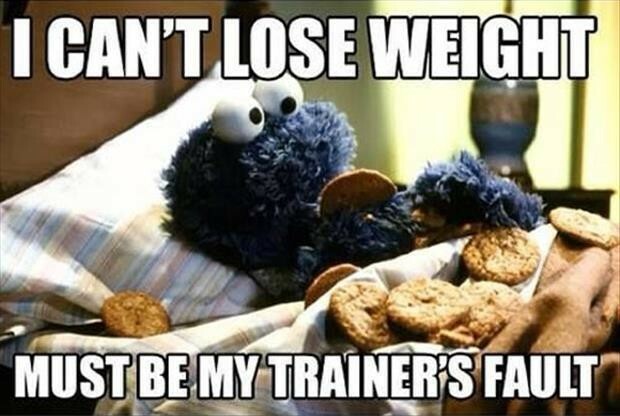 And so many different diets and meal plans to follow? Why are people still obese? Why can’t they lose weight? WHY aren’t these workout programs and diet plans working? I’ll let you in on the secret … many of these workout programs and diet plans ARE effective. They do work and you can see results – but only certain people succeed. These are the people that are able to learn how to change their behavior. The people who create positive intentions and don’t let small setbacks stop them from reaching their goals. Whether you recognize it or not, your success is based on your ability to change your mind and your behavior. Most people start a workout program and only last a short period of time before quitting because their mind plays tricks on them that set them up for failure, while people who succeed are better at making long-term behavioral changes. You may look at someone who is successful in their diet and workout plans and just think they have the “willpower” to do it, but it’s actually not that simple. When we think willpower, we think about that power to resist the temptation of junk food. We think about being able to get up at 5am to go to the gym when you really want to sleep instead. But in all truthfulness willpower isn’t ALWAYS there for us, and not something to constantly rely on. We actually have less control over our willpower than we would like. This is because the daily hassles of life, stress and emotions get in our way and make it difficult to stay on track. BUT some people are still able to overcome these hurdles. How do they do it? They set themselves up for success. These people recognize that their willpower will be tested, so they control aspects of their life to help them through the temptations. For example, if you know that you can’t make it to the gym regularly, then sign up for fitness classes each week that you CAN make it to and commit to those. If you know that you won’t be able to resist the ice cream in your freezer, then don’t buy it. The key is to build systems and strategies, so when your willpower gives up, you wont have the option to fail – instead you’ll have a backup plan. People who do that – succeed. It sounds simple, but sometimes it takes a lot of work to stay positive. Of course we all want to believe that we can reach our goals, and that’s why you need to set attainable, REALISTIC goals. If you set them too high, you’ll feel defeated as soon as you make one slip. And then give up. So, stay confident by setting positive intentions. Understand that some changes will be difficult and some might be easier. Either way you are still on a journey to success. Stay positive and you WILL reach your goals. #2. Think small … but DREAM BIG! How do you achieve your goals? By doing many little tasks to get you there. They may not seem like much, but if you focus on the small steps that it takes to get you to where you want to be, then you’ll find success. #3. Find someone to keep you accountable! Whether it’s family, friends, trainers, or workout partners – having positive feedback makes a HUGE difference. Don’t let yourself think that you need to go at this alone. Surround yourself with support. That’s why the Blogilates community is so special – because we have this group of people who radiate positivity to one another. Even though it’s online, doesn’t take away from the encouragement we send each other! It’s up to YOU to build yourself up for success. The workout programs and healthy recipes will always be there, but it’s up to YOU to make the positive changes in your behavior to stay on track and SUCCEED! Don’t blame the workout guides and meal plans for being “ineffective”, when you know you could be making a better effort! Train your mind like you would train your body. This is definitely one thing i have struggled with the most. I have been trying to find someone to keep me accountable, but have had no luck since none of my friends around me workout and the ones that do live an hour away. This is what happened during the past year, I went to do yoga alone, but it doesn’t matter. cos the main goal is to stay healthy. i used to be commented by my hubby that im fat, i tried to watch videos on youtube and did some exercise but still i stopped. then i realized actually the most important is health, this motivated me to join classes more often. and since then i went to exercise alone with strangers in class. it is fine. nobody and nothing can stop you from trying to maintain your health. and by consistent exercise, you also gain a ‘by product’ which is slim body, which is a bonus. Nice. I’m double your age and love the positive, smart, simple, straight forward council you give out. You inspire me too ! Happy belated birthday! Thank you for your wonderful spirit and encouragement! Be blessed ? Happy Birthday, Cassey! Best wishes for you and thank you very much for the post! It’s real positive and motivating! HAPPY BIRTHDAY CASSEY!!! I hope you have an amazing day because you truly deserve it! You are so inspirational and motivational (which I’m sure you hear all the time). I wanted to personally thank you for everything you have talked about and put out there- it has really helped me come to terms with issues I’ve had and helped me to progress away from them! I am a happier and healthier and more positive now, thanks to you and your videos and blogs! Keep being yourself, because you are amazing and relatable and make a real difference in the world. Have a great day! Love you! so problem Cassy. What if you don’t have something and you have to break your meal plan is that okay? As a CBT psychologist, I agree with this! Also, it’s so important to find habits that lead to natural positive reinforcement (such as being fun, making you feel good, make you feel like you’re learning something new, meeting nice people or encouragement from IG friends – whatever floats your boat). Really focus on identifying workouts that lead to positive consequences for you – people who succeed with behavior change are often those who go for new behaviors that are *naturally* motivating and rewarding. Positive contingencies will also lead to you maintaining your new lifestyle even when you reach your goals (which is often not the case if you only strive for, say, weight reduction or trying to feel less bad about yourself, as those are usually fueled by trying to reduce negative feelings rather than gaining something positive). I actually just posted a blog about why I quit my New Years Resolution. Y’all might find it interesting! Yes yes yes. It’s always a journey, but one you have to commit to and stop making the excuses. Once I figured that out, I was finally able to find fitness routines that worked for me and live a healthier lifestyle. Having accountability friends – whether they go to workout classes with you or just check in – are also so helpful. The biggest thing I’ve come to accept is that some days I will skip a workout and eat pizza instead, and that is OKAY because there is always tomorrow. I’m so for number 3. I work as a health coach to maintain these lifestyle changes and create motivation. I’m reading books on motivation and willpower and habit change. It’s so insightful! Since you are only thirteen, you may not actually need to do a reset…especially if it means skipping meals! Please consider how much energy your body needs in order to grow and fuel you through busy school days! And also what Kath says is true too! Your body is still growing and going through changes so it’s really important to fuel it right now! Very well written and super inspirational, Cassy! I’m a little over one week into the 28day reset and I’m feeling amazing!! less bloating and cravings, lighter periods, and definitely SO MUCH MORE ENERGY! Been feeling really happy thanks to YOU! Keep it going, Cassy:D Lots of love! Love the article, it’s so inspirarional! I’m just wondering where you got your data from? With only 33% of the population overweight you’re saying 67% has a healthy weight? That can’t be right, even here in Europe that percentage is much much lower. Maybe a typo? :) Keep up the good work Cassy, I love watching your video’s and reading your blogs! This is truly amazing so many people should join Blogilates.com/ because its inspiring. getting my boyfriend to hold me accountable for the 28 day reset (which is something I’d already planned to do a few days before I saw it posted here… stop reading my mind) changed everything for me. I’ve had digestion problems for so long but it’s so hard to resist the foods that make me hurt. Now I picture his sad face when I’m tempted to chow down on pizza… And I can’t do it! Seriously, get someone to hold you accountable. Especially if it’s someone you live with.